Carefully place asparagus on paper towels; pat dry. 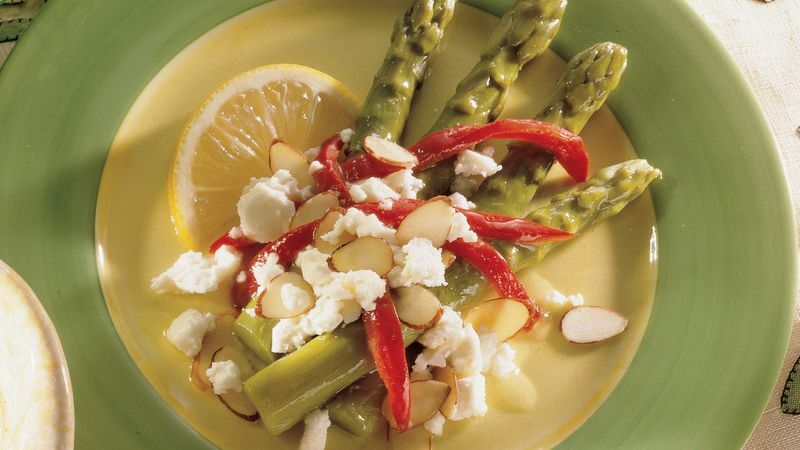 Arrange asparagus on serving platter. Top with roasted bell peppers, almonds and cheese. In small jar with tight-fitting lid, combine all dressing ingredients; shake until well blended. Drizzle half of dressing over salad. Garnish with lemon wedges. Serve with remaining dressing.